eliinbar’s Sketchbook 2012 The “perfect floor plan”. To delve into the example shown in this post. An unusual example illustrating the processes of “Conscious Inspiration”. 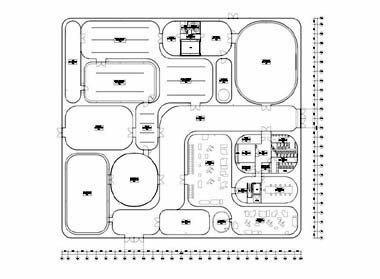 This post is telling the story of an Inspiring floor plan designed by John Hejduk. An Architect who was a contemporary theorists and a researcher more than a builder…. And on a personal note…. My inspiration for making architectural sketches…. Hejduk was the Legendary Dean of the Cooper Union School of Art and Architecture from 1972 to 2000. Generations of architects were inspired by his Sketches and theoretical architectural projects. 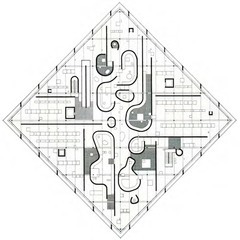 Hejduk’s floor plan for the “Diamond House” is an inspiring struggle with the endless search for the “perfect floor plan”. 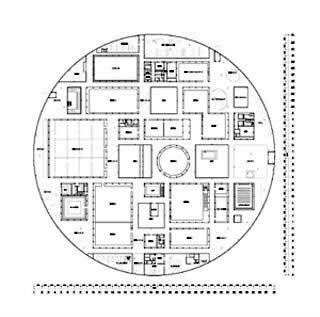 A floor plan with the exact relationship between the main floor areas , and the” left over spaces” in-between. Five years later the inspiring and unique architect, Aldo van Eyck, contributes to world architectural heritage, his interpretation to the ” perfect floor plan”. A calculated guess …. Aldo van Eyck’s inspiration source is Hejduk’s “Diamond House” floor plan. 1. Explicit formal selection of building envelope, rhombus regular polygon and perfect circle. 2. The decision to crate leftover spaces braided between the exterior envelope and the floor plan’s central main mass. 3. The choice of the curving interior walls. 4. The Choice of the orthogonal arrangement . Look at the next two floor plan images…. Do the “Conscious inspiration effect” strikes the second time? This entry was posted on February 24, 2012 at 7:18 pm and is filed under buildings, public buildings with tags 21st Century Museum, Aldo van Eyck, azuyo Sejima, CONSCIOUS INSPARATION PAGE, Conscious Inspiration, Constructivist teaching method, Diamond Houses, eliinbar’s sketchbook 2012, Glass Pavilion, John Hejduk, perfect floor plan, Ryue Nishizawa, SANAA, Sonsbeek Pavilion. You can follow any responses to this entry through the RSS 2.0 feed. You can leave a response, or trackback from your own site.